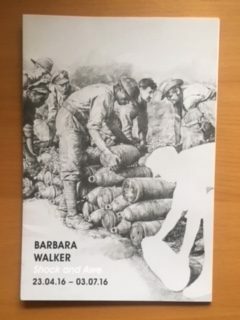 A great response to our Mutiny talk/screening at Mac Birmingham to coincide with visual artist, Barbara Walker’s major new exhibition of drawings, ‘Shock and Awe’. “Acknowledging an absence of representation over the past 100 years, Walker’s exhibition concentrates upon the contribution of Black servicemen and women to the British Armed forces and war efforts from 1914 to the present day. it reflects upon contemporary British conflict alongside historical events of the warfare involving Britain and the colonized nations of the British Empire. As the world commemorates the centenary of World War 1, this remarkable body of work addresses the stories that remain largely untold”.